Beautiful photos, the lighting is really pretty! I love the sunflowers. You look so summer pretty! The Hello Kitty nail lacquer is adorable! Nice pictures! The hat looks great on you. And wow that hello kitty nail varnish thing is super cute! beautiful pictures :) you are really beautiful!! love the pictures, the soft light, the green colour of your eyes, your simple outfit. 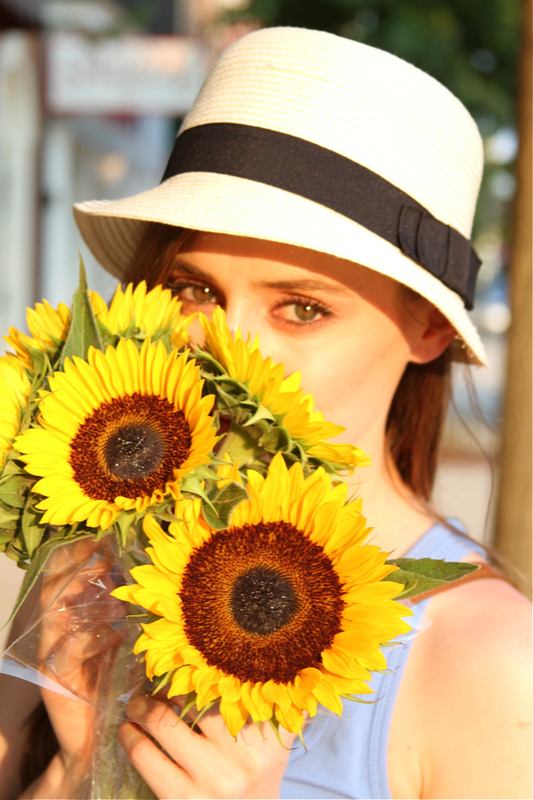 I adore sunflowers so much! I want a whole garden of them! Sounds like a lovely day, and love the nail polish color too! 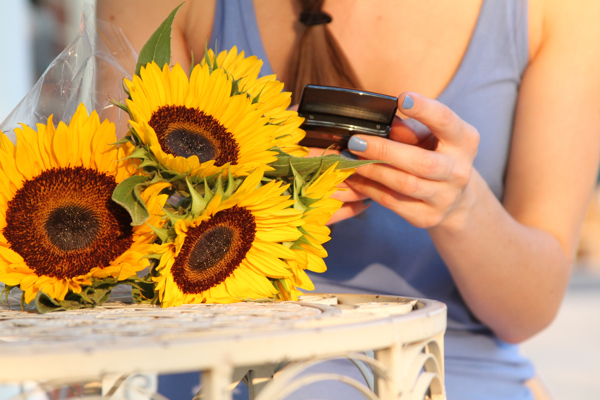 Stunning shots - those sunflowers are gorgeous! I love these pictures!!! And the nail polish too! I love when you find a nail color that matches your clothes perfectly! It just makes the whole outfit that much better! Your pictures are lovely! If I ever make it over your way, I expect some lessons! You're right. This nail polish color is divine. Now, it is my mission to find one exactly like it. It's just.that.amazing. P.S. Your pictures are gorgeous!!! Sunflowers always bring out the hippie in me.. You look amazing and these pictures are perfection..
what an evening with the lovely pictures and beautiful sunflowers! We are now following you and would love for you to follow us back if you like. Please visit! lovely flowers! and the nail polish is fantastic! Thank you very much, everyone!!! That nail polish is so cute! what a funny nail polish bottle! THis Hello Kitty nailpolish is really cute ( in the bottle too)! 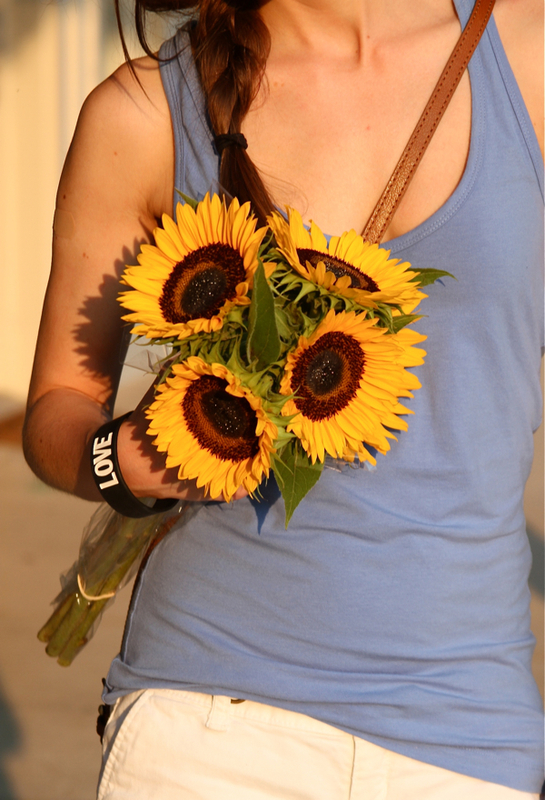 Sunflowers are my favourite! I love your nail colour! So cute!! Your eyes are beautiful!! I love those flowers! I love everything by Hello Kitty, and that color is beautiful! I am a huge sucker for fedoras, I love love them! I have one quite similiar to yours actually! so cute. this pictures are so lovely and colorful! your blog is so great <3 im following you dear. 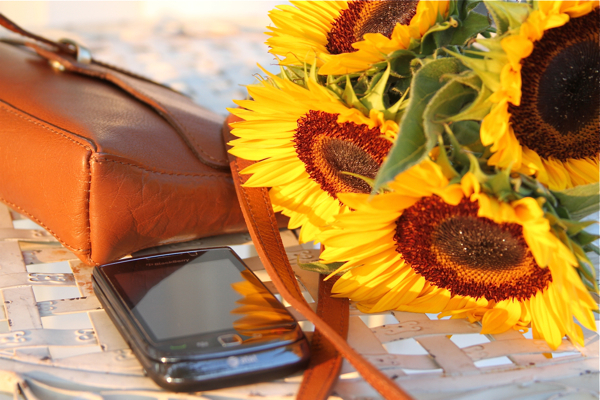 Beautiful pictures, I love sunflowers!